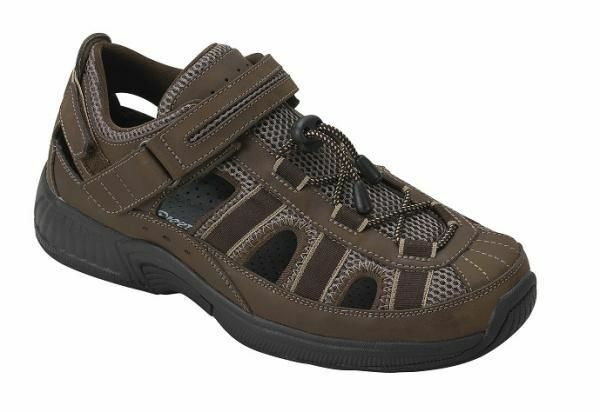 Enjoy amazing comfort enhanced with a custom-like fit in this two-way strap orthopedic sandal from Orthofeet. Orthofeet Clearwater sandals are crafted with advanced athletic andÿtherapeutic shoe detailing to offer relief for heel-pain, arch-pain and forefoot discomfort along with unsurpassed comfort and protection for sensitive feet such as diabetic and arthritic feet. Orthofeet Shoes have Free Shipping and we cover return shipping on all exchanges. Soft, seam-free lining design with extra foam padding offers unsurpassed comfort and protection. 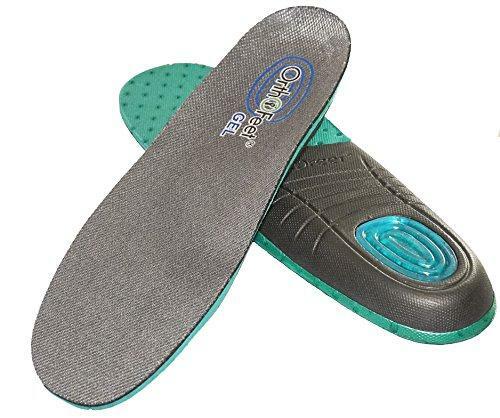 Orthotic insole designed with anatomical arch support and deep heel cup provides customized support and absorption. Two-way strap system enables fastening on either side of the shoe and an easy adjustment of the length of the strap. 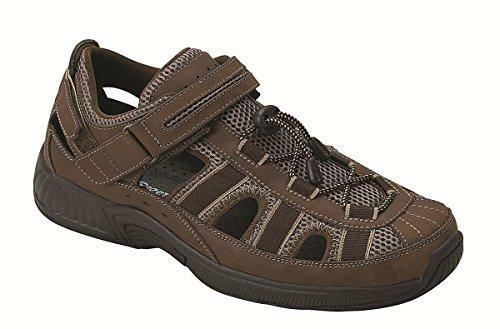 Orthofeet Men's Two-way Strap Sandals - 573 I decided to exchange the first pair I received and it had a rough edge on the inside of my right foot which made it uncomfortable. It was also a tad small so I decided to go up a half-size on the exchange. The new pair fit perfectly and I am very happy with them - very well made, comfortable and a great fit. Advantages: Shoe Width: Runs True to Size. Disadvantages: Size: Length runs small. Advantages: Size: Runs True to Size. Shoe Width: Runs True to Size. My husband has diabetic neuropathy & his feet have not bothered him at all in these sandals. He loves them & has been wearing them every day. They have excellent support. I bought these sandals for my husband. He loves them. They are comfortable and easy to put on. Advantages: He especially likes there are two straps on either side to help him get his shoes on.